Terry Anderson, 69, is a retired journalist – a former foreign correspondent in Asia, Africa and the Middle East. He served as Chief Middle East Correspondent for the Associated Press, as well as working as a newspaper editor, tv & radio reporter and documentary producer. He has spent 12 years as a journalism professor at Syracuse University, Ohio University, the Columbia School of Journalism and the University of Florida. He recently retired to Orange, Va.. He is a former Marine and Vietnam veteran, and author of the best-selling book “Den of Lions,” recounting the seven years he was held hostage in Lebanon. He has been a frequent speaker on those events, journalism and the Middle East. Anderson holds numerous awards in journalism, as well as for volunteer and charitable work. He is honorary chairman of the Committee to Protect Journalists, which works on behalf of journalists under threat around the world, and co-chair of the Vietnam Children’s Fund, which has built more than 50 schools in Vietnam. Anderson is an enthusiastic diver (cave-dive certified and experienced), and a horse lover who has raised and trained young and troubled horses. Emma is a New Zealand-born journalist, producer, and writer, whose main focus is Syria. She works for media outlets across the world. Emma is passionate about journalist security and press freedom, and has spent time supporting colleagues preparing for dangerous assignments, as well as supporting their friends and families in times of crisis. She co-founded the Frontline Freelance Register, to represent freelance conflict reporters, and is a co-chair of the ACOS Alliance, a global alliance of news organizations, NGOs, and journalists, who strive to improve safety and security for freelance journalists working in conflict. She is also a trustee of the Frontline Club in London. Liz Chamberlin is the Executive Director of the International Security Management Association (ISMA). She began her career in law, where she focused on insurance defense litigation, workers compensation, and corporate litigation matters. Ms. Chamberlin graduated from the University of Iowa (B.A., political science and international relations); and from the University of Iowa College of Law.She resides in Wiltshire, UK. Mr. Costa served as the Special Assistant to the President and Senior Director for Counterterrorism on the National Security Council (NSC). At the NSC, he was responsible for coordinating counterterrorism policy and strategy as well as U.S. hostage recovery activities. Mr. Costa had 34 years of progressive national security experience and well-documented success in strategy, policy, special operations, counterintelligence, and human intelligence, deploying on multiple contingencies and to combat operations in the Republic of Panama, Afghanistan, and Iraq. Mr. Costa’s last assignment with the United States Special Operations Command (USSOCOM) was as Program Director in the Operations Directorate. Preceding USSOCOM, Mr. Costa served as a Department of the Navy civilian at the Naval Special Warfare Development Group – with US Navy SEALs, and as a Senior Adjunct Instructor with Norwich University’s Bachelor of Science in Strategic Studies and Defense Analysis Program; with Norwich University, he taught on topics related to national security, strategy, and counterterrorism. He holds an M.A. in Strategic Intelligence from American Military University; an M.A. in National Security and Strategic Studies from the U.S. Naval War College; and a B.A. from Norwich University. His military awards and decorations include the Defense Superior Service Medal, Legion of Merit, and two Bronze Stars. In May 2013, Mr. Costa was inducted into USSOCOM’s Commando Hall of Honor for extraordinary and enduring service to Special Operations Forces. Most recently, Mr. Costa joined the International Spy Museum as the Executive Director where he will play a leading role in building on its extraordinary success as a Washington attraction and speaking responsibly on current counterterrorism and intelligence issues. Gene Delaune serves as a member of the Hostage US Board of Directors. He is the Chief Medical Officer for Europ Assistance’s (EA) North American offices. He manages the US in-house Medical Team which is responsible for determining the adequacy of care customers are receiving and making travel recommendations around medical evacuations and repatriations. He also sits on the International Medical Steering Committee, representing the Americas’ interests and shaping medical policy for the group. Dr. Delaune is a board certified Emergency Physician with medical licenses in six states, practicing clinically 80-100 hours per month in several major medical centers. Prior to EA, Dr. Delaune served on active duty in the US Air Force and in 2003 served in Baghdad as the primary physician determining the “fitness to fly” of patients evacuated out of the war zone. He also worked as a flight surgeon for the US Air Force at Tyndall Air Force Base in Florida, Ramstein Air Base in Germany and was trained as a USAF Critical Care Aeromedical Transport Team as well as a NASA space shuttle support physician. Dr. Delaune conducted his medical residency at George Washington University, graduated from the Tulane University School of Medicine and completed his undergraduate training at the University of Notre Dame. Jen Easterly is a Managing Director of Morgan Stanley in the Technology Information Risk Division. She joined the firm in February after nearly three decades in U.S. Government service. Prior to joining Morgan Stanley, Jen served on the National Security Council as Special Assistant to the President and Senior Director for Counterterrorism where she led the development and coordination of U.S. counterterrorism and hostage policy. Prior to that, she was the Deputy for Counterterrorism at the National Security Agency. Jen retired from the U.S. Army after more than twenty years of service which included command and staff assignments in intelligence and cyber operations, as well as tours of duty in Haiti, the Balkans, Iraq,and Afghanistan. A distinguished graduate of West Point, Jen holds a Master’s degree in Politics, Philosophy, and Economics from the University of Oxford. A member of the Council on Foreign Relations and a French-American Foundation Young Leader, Jen is the recipient of the Council on Foreign Relations International Affairs Fellowship, the George S. Franklin Fellowship, and the Director, National Security Agency Fellowship. She serves on the Board of Trustees of the Morgan Stanley Foundation and the Board of Directors of Nuru International, a non-profit organization dedicated to the eradication of extreme poverty. Mr. Eisen is a trial lawyer with more than 35 years’ experience in the trial of jury and non-jury cases in federal and state courts throughout the country. He has tried numerous cases to jury verdict in federal and state courts and arbitration cases to Awards. Mr. Eisen represents plaintiffs and defendants in litigation matters involving contracts, securities, banking, class action, construction, bankruptcy, intellectual property, real estate, and trusts and estates issues. Mr. Eisen is a Fellow in the American College of Trail Lawyers, in which fellowship is extended by invitation only to experienced trail lawyers within the top one percent of the trial bar in the United States and Canada. As a member of the National Panel of Arbitrators of the American Arbitration Association, Mr. Eisen is a certified Level II Arbitrator who has arbitrated more than 100 multimillion-dollar disputes involving major corporations and individuals and is a lecturer and author in the field of arbitration. He is also a member of the CPR Panel of Distinguished Neutrals and the CPR Panel for Banking, Accounting, and Financial Services. Mr. Eisen has been selected by his peers for inclusion in Washington D.C. Super Lawyers – 2007 – 2017 Alternative Dispute Resolution). Mr. Eisen currently practices with K & L Gates, received his B.A from Princeton University, and LL.B from Yale Law School. Diane Foley is the mother of American conflict journalist James Wright Foley. James W. Foley graduated from Marquette University and completed a Masters degree in writing at the University of Massachusetts. While educating inmates, unwed mothers and youth, James further prepared his career at the Medill School of Journalism at Northwestern University, Illinois. In 2008, James began reporting, first in Iraq, then Afghanistan,Libya and finally Syria. In 2011 James was detained by Colonel Gaddafi’s Libyan regime and released after 44 days. While reporting in northern Syria, James was kidnapped by troops of ISIS in November 2012. On the 19th of August 2014, the terrorist group released a video of his murder near Raqqa. Diane Foley is the founder and president of the James W. Foley Legacy Foundation. In 2015. Diane participated in the US hostage policy review with White House. Seeking to continue the legacy and work of her son James Foley, the Foley Foundation has a three-fold mission.Advocating to bring home citizens taken hostage abroad, protecting the rights of independent conflict journalists and educating on the silent crises of hostage-taking, threats to freedom of speech,as well as on safety of international work for journalists and humanitarians. Diane Foley founded the James W. Foley Legacy Foundation in September 2014. Her initial reaction to the murder of her son was marked by the belief in the importance of his work: “He felt compelled to be a witness to people in conflict. This, he felt, was his mission, he died for that compassion and that love. I pray that he can be remembered that way and that he not have died in vain.” The mission of the Foley Foundation connects seamlessly with that endeavor. Not only does the foundation advocate for the best possible efforts to bring home hostages, it also aims to build awareness of the importance of journalism in the protection of democracies around the world. It seeks the safety and equity of independent conflict journalists and photographers.Moreover, the Foley Foundation works to educate and inspire high school and university students to explore the value and the threats to freedom of speech, dangers of freelance conflict journalism, and the role journalists have played in history of alerting the world to human rights issues, profound suffering as well as the beauty found in cultures. Lt Col John Foley is a results-driven professional with 16+ years of operational and strategic military leadership experience. Excels in dynamic, demanding environments while remaining pragmatic and focused. Principled leader, seasoned project manager and skilled communicator with a demonstrated record of successfully leading small and large teams in fast-paced, high-pressure environments. Self-motivated servant leader that specializes in developing and maximizing talent in others. Able to summarize complex issues for executive review. Highly polished in top-level command politics, strategy and tact with the ability to resolve difficult situations with grace and diplomacy. Consistently recognized by high-level executives, senior managers and peers as a superior performer with consistent top peer rankings. Frequently selected for strategic level assignments including tours as in US Central Command, European Command, and Pacific Command, as well as Headquarters Air Force. Maryscott “Scotty” Greenwood is a principal in Dentons’ Public Policy and Regulation group and co-leader of the practice’s Advocacy and Government Affairs team. A former American diplomat to Canada and a frequent media commentator and public speaker, Scotty serves as a business and public policy advocate, communications expert and political strategist to Fortune 500 companies, trade associations and nonprofit organizations. Chief executive officer of the Canadian-American Business Council, she has repeatedly been recognized by Canadian newsweekly The Hill Times, which has named her one of the country’s “Top 100 Lobbyists”(2017), “Top 100 People Influencing Canadian Foreign Policy” (2014) and “Top 100 Most Influential People in Government and Politics” (2010). Resident in Dentons’ Washington, DC, office, Scotty also assists clients with their legislative and public policy challenges in the United States. Dentons operates in more than 140 locations serving 57 countries, and Scotty regularly provides corporations, industry associations and nonprofit organizations across the globe with US federal, state and local government relations services on US and transnational policy matters. Her experience cuts across sectors, including energy, transportation, life sciences, professional sports and others. In addition to promoting her clients’ policy needs and priorities by engaging in a wide range of education and advocacy activities, including traditional and new media campaigns, direct outreach to policy-makers, coalition building and grassroots organizing, an area of increasing focus for Scotty has been assisting clients in dealing with disruptive and unexpected events that threaten to harm their organization, its stakeholders or the general public. From a customer data breach to a high profile firing, an environmental accident to a government antitrust probe, Scotty helps companies develop and implement a strategy to minimize and mitigate potential damage. Immediately before joining Dentons in 2001, Scotty spent four years as chief of staff of the US Embassy in Canada, having been offered the diplomatic posting by President Clinton. During this time, she received the State Department’s Meritorious Honor Award for her innovative outreach program to US governors and Canada’s premiers to foster cooperation on issues of mutual concern. From 1993 to 1997, Scotty was director of intergovernmental affairs for the city of Atlanta, handling state and federal relations, including serving on the White House Interagency Task Force on Olympic Security and working on various other projects related to the 1996 Centennial Olympic Games in that city. Prior to that position, Scotty was executive director of the Democratic Party of Georgia. She has worked on the state’s Democratic primary and presidential campaigns since 1988. Delphine Halgand has been working as the director of the North America office for Reporters Without Borders since December 2011. She runs the activities for the organization in the United States, Canada and the Carribbeans advocating for journalists, bloggers and media rights. Her work focuses in particular on journalists missing, imprisoned or held hostage, like Jason Rezaian and Austin Tice. Acting as RSF’s spokesperson, Halgand regularly appears on American media (CNN, Fox News, PBS, Democracy Now), foreign media (BBC, Al Jazeera, France 24) and lectures at U.S. universities (Harvard University, UCLA, Yale) and conferences on press freedom violation issues. Roy Hallums earned a management BBA from the University of Memphis and an M.S. in management from the U.S. Navy Post Graduate School in Monterey, CA. Work as a career Naval officer and a civilian defense related contractor has taken him to employment sites worldwide. Significant time was spent in China, the Philippines, and recently the Middle East. Departmental and budgetary authority often included over $100 million and large human resource staffs. After retiring from the U.S. Navy as a Supply Corps Commander he worked with the Royal Saudi Naval Forces for ten years. This service involved support for more than 50 Saudi ships in the port of Jubail, Saudi Arabia. Upon completion of his contract with the Saudi Navy Roy accepted a contract with a Saudi company doing business in Iraq. While working in Iraq Roy was kidnapped and held for 311 days. He was eventually rescued by U.S. Army Special Forces. Interviews include: 60 Minutes, Today Show, Good Morning America, CNN Morning, CBS Evening News, ABC Evening News, Scarborough Report, Hannity and Combs, New York Times, Discovery Channel, numerous magazine and newspaper articles. Kelly joined The Coca-Cola Company in 2000 following seventeen years of law enforcement and security experience in the government sector. She was elected as a company vice president in May 2015 and currently has leadership responsibility for the strategic security, information assurance, and global asset protection operations. Kelly has global responsibility for ensuring safe and secure operations for The Coca-Cola Company’s more than 100,000 employees operating in more than 200 countries across the company’s six operating segments: Europe, Middle East and Africa; Latin America; North America; Asia Pacific; Bottling Investments Group; and Corporate. In addition, Kelly oversees information assurance which includes, cyber threat intelligence, computer forensics, eDiscovery and cyber investigations. She has served in numerous roles within Strategic Security during her 17 years with The Coca-Cola Company and also served as Executive Assistant and Chief of Staff to the Executive Vice President and Chief Administrative Officer, Alex Cummings, from 2010-2012. Prior to joining The Coca-Cola Company, Kelly was a special agent with the U.S.Food and Drug Administration, Office of Criminal Investigations, where she was one of the first twenty agents hired into the newly established agency. Kelly was also a special agent for the former U.S. Customs Service, Office of Enforcement (now known as Immigration and Customs Enforcement) and the Naval Criminal Investigative Service. Her responsibilities included managing and conducting criminal investigations, dignitary protection, anti-terrorism and foreign counterintelligence initiatives and operations. She is a graduate of the University of Florida and the Harvard Business School, General Management Program.She currently serves on the boards of the International Security Foundation and Domestic Security Partnership and is an active member of the International Security Management Alliance. James (“Jim”) LeBlanc is the founder of J. LeBlanc International and ‘Consigliere’ to a number of senior executives throughout the world. With over 30 years of international experience, he has served in numerous leadership and executive positions within both the public and private sectors. As Vice President of Unity Resources Group for the last number of years, Jim provided a wide array of global leadership, senior management and related services, and now serves the company as a Senior Advisor. Jim previously served as executive director for the American-Kuwaiti Alliance, providing all elements of the leadership and management of the organization. He was also the senior resident Country Director in Iraq for a large international NGO responsible for providing organizational leadership and the implementation of numerous democratic development programs during the highly volatile period from 2004 to 2006. Jim served as chief of staff to the Secretary of State for External Affairs and International Trade and the Minister of Science and Technology, as well as, executive assistant to the Canadian Ambassador for International Security and Arms Control, giving him extensive public and political experience at senior levels in the Canadian Government. Jim is active in a number of organizations including those focused on international security and stability operations. He is also a past senior associate at the Centre for Strategic and International Studies and continues to sit on numerous boards and advisory councils including the International NGO Safety and Security Association (INSSA) and the Northern Virginia Technology Council (NVTC). Jim has a Master in Public Administration from the Harvard University Kennedy School (U.S.); a Master in Arts (International Security and Conflict) and a Bachelor of Arts (Law and Political Science) from Canada. Diane helps nonprofit organizations transform their fundraising operations by devising and implementing development strategies; cultivating and soliciting high net worth individuals, foundations, leadership at Fortune 500 companies, and C-suite executives; communicating with a wide variety of audiences, including board members, staff, donors, and outside advisors; building and maintaining event and campaign fundraising planning and implementation; and overseeing day-to-day operations. 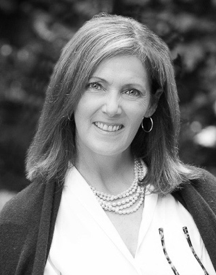 Prior to joining OAI, Diane was the national Director of Women’s Philanthropy for the American Red Cross where she directed the organization’s signature major giving program for women that raised nearly $20M in FY16 in direct and influenced giving; she also led a $15M campaign to honor the centennial of the American Red Cross’ historic headquarters building. Previously, Diane spent nearly 17 years with United Way where she managed the reorganization of the national governance structure and oversaw the growth of the Women’s Leadership Council (one of the largest women’s philanthropy programs in the nation). 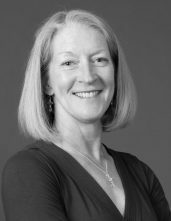 Her other experience includes senior roles with SOS Children’s Villages and the District of Columbia Public Library Foundation.Mid-career, Diane accepted a position with the US State Department to serve for two years as the Chief of Protocol at the US Embassy in Canberra Australia. Mr. Lebson leverages a long career in government and the private sector working at the intersection of research, intelligence, and geopolitics. Mr. Lebson served in government from 2007-2013. He was at the White House as a Director at the National Security Council coordinating policy toward Afghanistan and Pakistan, including military, security assistance, political, and counterterrorism initiatives. He led the Pakistan team in the Office of the Secretary of Defense, developing and funding a counterinsurgency program to fight terrorism along Pakistan’s border with Afghanistan. Broadening his international experience, he also served in an exchange capacity within the Australian Department of Defence where he designed their first long-term strategic risk assessment. Prior to and after his government service, Mr. Lebson built and ran successful investigative and intelligence practices in the private sector. Heco-founded a global business intelligence firm in 1999, serving clients in diverse industries and geographies and establishing a worldwide network of sources and consultants. Later, at the end of his public service, he joined a crisis communications company and built the industry’s first-ever integrated business intelligence practice. Mr. Lebson is personally committed to the cause of supporting hostage families. For two years he led a team that provided pro bono support to an American hostage family, utilizing his government experience and regional expertise to support efforts for the hostage’s release, while working with the family to manage substantial media interest and outstanding liability issues. His team received the 2016 Toth Award for Pro Bono Services from the Public Relations Society of America –National Chapter, and the 2016 Platinum Award for the same category from PR News. He has worked on a volunteer basis with several Hostage US families to help them assess and navigate issue related to media engagement and managing their public profile. Mary McCord serves as Senior Litigator from Practice at the Institute for Constitutional Advocacy and Protection as well as Visiting Professor of Law at Georgetown University Law Center. McCord was the Acting Assistant Attorney General for National Security at the U.S. Department of Justice from 2016 to 2017 and served as Principal Deputy Assistant Attorney General for the National Security Division (NSD) from 2014 to 2016. At NSD, McCord was in charge of the Division’s nearly 400 employees, who collectively are tasked with carrying out the counterterrorism, counterespionage, and counterintelligence functions of the Justice Department. In her post, McCord interacted with the 94 U.S. Attorney’s Offices across the country. Previously, McCord worked for nearly 20 years at the U.S. Attorney’s Office for the District of Columbia. Among other positions, she served as a Deputy Chief in the Appellate Division, overseeing and arguing hundreds of cases in the U.S. and District of Columbia Courts of Appeals, and as the Criminal Division Chief, where she oversaw all criminal prosecutions in federal district court. McCord graduated from Georgetown University Law School and subsequently served as a law clerk for Judge Thomas Hogan of the U.S. District Court for the District of Columbia. David McCraw is Deputy General Counsel of The New York Times. He has spent the last 15 years at The Times, where he serves as the newspaper’s top newsroom lawyer. Mr. McCraw also heads up The Times’s crisis management team coordinating the paper’s response when journalists are kidnapped or detained overseas. He is a graduate of the University of Illinois, Cornell University, and Albany Law School and an adjunct professor at the NYU Law School.His pro bono work on behalf of government transparency and press freedom has included projects in Yemen, Montenegro, Bahrain, and Kuwait and workshops for lawyers and journalists in South America, China, Russia, and Eastern Europe. 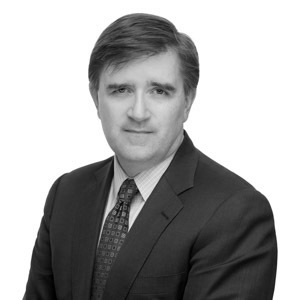 David F. McGowan is the Vice President, Global Protection and Resilience for Tiffany & Co. In this capacity, Mr. McGowan is responsible for all company retail and supply chain security programs; investigations and business intelligence programs;the company’s emergency, incident, and business continuity programs;the company’s executive and travel security programs;the company’s occupational safety and environmental management programs; and for the enforcement programs to protect the company’s intellectual property and the Tiffany brand. Mr. McGowan began his career at Tiffany & Co. in 1996 as Director of Security. Prior to joining Tiffany, Mr. McGowan was the Director of Loss Prevention and Safety for the Polo Ralph Lauren Corporation and held several other positions in the loss prevention field. He was President of the Retail Loss Prevention Association of New York, and was an original member of the editorial board of directors of Loss Prevention Magazine.Mr.McGowan currently is a member of the Board of Directors of the International Security Management Association, the global Association of leading Chief Security Officers. Mr. McGowan has spoken publicly throughout the world on topics such as “Security as Agents of Change,” “Security in the Post 9/11 Era,”“Air Cargo Security: A Customer’s Perspective,” and a tour engagement in Russia speaking on “A Leader’s Role in Setting Workplace Climate.” In 2006, Mr. McGowan received the distinction as “Security Director of the Year” from Access Control and Security Systems Magazine, a leading security industry publication. Mr. McGowan received a Bachelor of Arts degree from the College of the Holy Cross in Worcester, Massachusetts.He has a life long association with the game of baseball and is the President and Chief Executive Officer of the Frank “Beauty” McGowan Baseball Foundation,Inc.,a nonprofit working to improve the baseball experience in communities across America. Mr. McGowan is based at Tiffany’s headquarters in New York, NY, has two children, Micaela and Colton, and he makes his home with his wife, Amy, in the garden state of New Jersey. Bonnie Michelman has extensive leadership and security management experience in diverse industries. She currently is the Executive Director of Police, Security and Outside Services at Massachusetts General Hospital and the Security Consultant for Partners Healthcare Inc.,an organization comprising 13 hospitals, hundreds of offsite facilities, and a workforce over 100,000. She oversees a licensed Police Department in this role among other departments.She was formerly a senior executive at First Security Services Corporation (now Securitas) overseeing Security for 60 diverse operations and Assistant Vice President for General Services/Operations at Newton Wellesley Hospital managing 16 operational and support departments. Bonnie is on the Board of Directors and Past President for the International Security Management Association (ISMA). Bonnie served as President in 2001 of ASIS-International, a 40,000-person organization, Chairman of the Board in 2002, and Foundation President from 2003-2005. She is Past President (2008 and 1995)as well as Chairman of the Board of the International Association for Healthcare Security and Safety(IAHSS).She has been an Instructor at Northeastern University, College of Criminal Justice in the Graduate and Undergraduate program for over 20 years. Bonnie is on the Regional Board of Directors for the Anti-Defamation League (ADL) and chairs their National Security Committee.Under Bonnie’s direction, MGH won the Lindberg Bell Award for the nation’s finest healthcare security program in 1999 and 2007 among numerous other awards and recognitions. She was appointed in 2010 by DHS Secretary Janet Napolitano to the Homeland Security Advisory Council (HSAC), holding that position until 2015and chairs the DHS Faith Based Security Advisory Committee. Bonnie has held many leadership positions nationally, internationally and Bonnie lectures and consults on areas of healthcare security,workplace violence, hate crimes, active shooter training, domestic violence, risk assessment/management, disaster planning, leadership and communications. She has many publications in various journals on safety, security, leadership and management. She also does significant work in Executive Coaching, Management Engineering and Strategic Planning. Bonnie has an MBA, and MS in Criminal Justice and a BA in Government and Sociology. She holds her CPP and CHPA certifications. James O’Brien is Vice Chair of Albright Stonebridge Group (ASG) and heads the firm’s Europe practice. A founder of the firm, he has worked extensively on issues affecting consumer goods, health, entertainment, environment, media (including free speech), information technology, telecommunications, and finance sectors. Mr. O’Brien is also a member of the management and investment committees of Albright Capital Management LLC, an affiliated investment advisory firm focused on emerging markets. Mr. O’Brien has served two U.S. administrations as special presidential envoy, securing the release of Americans held hostage abroad and overseeing U.S. policy planning towards the Balkans. He has been senior advisor to the U.S. Secretary of State and served as the principal deputy director of policy planning at the State Department. He worked to end armed conflicts in Europe, helped develop non-proliferation initiatives after the Cold War, negotiated environmental agreements, and supported initiatives to investigate and prosecute persons responsible for war crimes. Louis O’Neill is Counsel and Director of Pro Bono at White & Case. Mr. O’Neill helps run the Firm’s Global Pro Bono Practice and also advises the Firm’s international pro bono and commercial clients on a broad range of matters focusing on dispute resolution and criminal law, as well as micro-finance, human rights, transnational litigation, environmental conservation, economic development and sovereign restructuring. His experience combines an extensive career in public service with a record of success in private practice and business. Mr. O’Neill has served in non-political expert capacities as Ambassador and Head of Mission to Moldova for the Organization for Security and Cooperation in Europe, as a Member of the State Department’s Policy Planning Staff and as White House Fellow to Secretary of State Colin Powell. Before the White House Fellowship brought him to Washington, Mr. O’Neill served as an Assistant District Attorney in the Special Prosecutions Bureau of the New York County District Attorney’s Office. He handled a broad range of white-collar, fraud and organized-crime cases from investigation to sentencing and specialized in prosecuting complex financial cases and criminal groups in New York with international ties. Prior to becoming a prosecutor, Mr. O’Neill served as General Counsel for a leading New York merchant bank and investment house. Mr. O’Neill began his legal career as an Associate with White & Case. Alan Orlob is the Vice President of Global Safety and Security for Marriott International. In his role, he oversees safety and security operations and directs the crisis management program. Marriott is the largest hotel operator in the world with more than 6000 hotels in over 120 countries. Prior to working for Marriott, Alan was the corporate security director for Al Ghanim International, managing a close protection detail. He served with U.S. Army Special Forces, both active and reserve for a total of 24 years. Mr. Orlob recently served as the president of ISMA, the International Security Management Association and is the Chairman of the Orange County Homeland Security Advisory Committee–a public private partnership with the Orange County, California, Sheriff’s Department. He has served as a consultant with the U.S. State Department’s Anti-terrorism Assistance Program on hotel security and was a stakeholder ona RAND initiative on counter-surveillance. In his role, he has consulted with several foreign governments on hotel security. 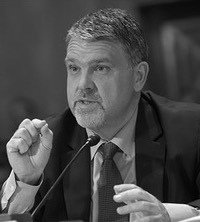 Following the Mumbai terror attacks, Mr. Orlob testified before the U.S. Senate Committee on Homeland Security in January, 2009 and testified before the House Committee on Homeland Security in 2016. In 2013, Mr. Orlob was selected as one of Security Magazine’s “Most Influential People in Security”. Mr. Orlob has written several articles on the subject of protecting soft targets in hostile environments and has been interviewed by most major publications and news media. Mr. Orlob is a member of the Pacific Council on International Policy and is a former committee chairman of the U.S. State Department’s Overseas Security Advisory Council (OSAC). He is a member of the Global Security Advisory Group to the Center for Strategic and International Studies. Robert (Bob) Pritchard is Vice President and Chief Security Officer for S&P Global. Bob is responsible for overseeing the protection of the corporation’s global assets which includes crisis management, executive protection, security systems & technology, global contract security, investigations, building security and conducting threat assessments and risk analysis. Bob joined S&P Global in 1998 after 25 years in law enforcement. Prior to that, his career included investigative and managerial positions with NYPD, New York City Board of Education, Drug Enforcement Administration (DEA) and the Counter Terrorism Bureau of the FBI. In 2013, US Secretary of State Kerry appointed Bob to co-chair the US Department of State Overseas Security Advisory Council (OSAC). He also holds positions with the Latin American Regional Council (LARC), the Pan Asia Regional Council (PARC) and is a member of the CSO Roundtable (ASIS) and the International Security Management Association (ISMA). Bob holds a bachelor’s degree from New York Institute of Technology. In addition, he has completed certificate programs at the Wharton School of Business, the Kellogg School of Management and the Disaster Recovery Institute (DRI). Bob recently joined the Hostage US Advisory Countil and brings his experience as a hostage negotiator and kidnap coordinator. Nicholas “Nick” Rasmussen currently serves as Senior Director for Counterterrorism Programs at the McCain Institute for International Leadership in Washington, D.C. and as Distinguished Professor of Practice at the Sandra Day O’Connor College of Law at Arizona State University (ASU). Rasmussen joined the McCain Institute and ASU on May 21, 2018 after having stepped down as Director of the National Counterterrorism Center (NCTC) on December 23, 2017. He is also currently serving as an intelligence and national security analyst/contributor with NBC news and MSNBC. David Rohde is the Online Executive Editor at The New Yorker, a global-affairs analyst for CNN and a former reporter for Reuters, the New York Times, and the Christian Science Monitor. He was awarded a Pulitzer Prize in 1996 for stories that helped expose the Srebrenica massacre during the war in Bosnia, and in 2009 he shared a Pulitzer Prize with a team of New York Times reporters for coverage of Afghanistan and Pakistan. He is the author of three books, including “A Rope and a Prayer: The Story of a Kidnapping.” The book, co-written by his wife, Kristen Mulvihill, a Hostage US board member, recounts Rohde’s 2008 kidnapping by the Taliban in Afghanistan and seven months in captivity in the tribal areas of Pakistan. He lives in New York with his wife and two daughters. Barry Rosen’s first view of Iran began in 1967, when he left Brooklyn for a two-year stint as a Peace Corps volunteer. He taught English and he learned Farsi. In many ways, Iran became a second home for Rosen. A decade later, he returned to Iran as the embassy’s press attaché and that home became his prison. On November 4, 1979 he became one of 52 Americans held under brutal conditions for 444 days by Iranian militants. Details of captivity, peculiar as well asprofound, are never far from Mr. Rosen’s mind. He was threatened with automatic weapons pointed to his head, a victim of mock executions, held blindfold for days on end, tied hand and foot, and thrown into prison. Torn between his love for Iran, sensitively grounded in Peace Corps experience, and his anger and frustration over the way his captors violated Iran’s own traditions and norms,Mr.Rosen has been an advocate for the needs of hostage sand their families since his release nearly four decades ago. He has spoken across the country and abroad about his own personal experience and has sought to detail the impact of terrorism and captivity on the psyche of hostages and their families. He talks candidly about his own experience with PTSD and how that has impacted his own and his family’s life. On his return to the United States, Rosen took up the position of Assistant to the President of Brooklyn College, CUNY. He co-wrote wrote The Destined Hour, about his experience in Iran with his wife, Barbara Rosen, and convened a major conference on Iran, which led to the publication of Iran Since the Revolution. Shortly after 9/11 Mr. Rosen headed a Teachers College, Columbia University project to rewrite the elementary school textbooks for the Afghan Ministry of Education. “I felt we needed to returnto a culture that I knew and pickup the work of education. We had a history in Afghanistan and that education was the only way to change young Afghan lives.” With the assistance of group of Afghan and American educators, the project was devoted to writing the curriculum and all primary school textbooks, while introducing a style of teaching and learning new to Afghan teachers and students, encouraging student participation. Later, he served as Executive Director of Public Affairs at The Borough of Manhattan Community College, where he advanced the mission of The City University of New York. Mr. Rosen has two graduate degrees, one from Syracuse University’s Maxwell school of Public Affairs. The other is from Columbia University’s Department of Middle East Languages and Cultures. He is married to Barbara Bogutski Rosen and they have two children and five grandchildren. Mr. Rosen is honored to be a member of the Hostage US Advisory Board and wants to serve American men, women, and families who suffer the trauma of a hostage crisis and contribute in any way possible to making their lives whole again. Marlis Saunders grew up in Germany and has lived in Southern California for more than 5 decades. She worked for many years in the aerospace and healthcare industries and is now retired. When her son, Michael Scott Moore, was kidnapped in Somalia she negotiated for his release with the help of the FBI. Paula Somers was born in Portland, Oregon, but grew up in California. Her love of travel started at a young age, taking her to Tunisia, Morocco, Greece, Turkey, much of Europe, Russia, Mexico, Nicaragua, Jamaica and Trinidad and Tobago. She settled for a number of years in England, a country she maintains great fondness for to this day. While living in England she worked at the Guardian, Telegraph and Evening Standard, and spent time studying photography at the London School of Printing. One of her career highlights was having photographs displayed at Harvey Milk’s shop in Castro. It was while Paula was living in London that her first son Luke was born, arriving on August 29, 1981. Luke’s younger brother Jordan was born in 1986. Luke shared his mother’s love of travel, and Paula took him on many adventures to North Africa, Turkey, Greece, Italy, France and Austria. In 1988, the family moved back to California. Luke spent his summers traveling back to England on his own to visit his father. While he was at Beloit College, he studied in Egypt and Morocco. After he graduated, he spent time salmon fishing in Alaska, flipping houses in Boston, working as an editor for author Tamarack Song in Wisconsin, and volunteering at The Reading Centre in Trench Town, Jamaica. Luke was drawn to Yemen and settled in Sana’a. He rekindled his love of photography and began to photograph the city and and its people documenting the demonstrations that were starting in early 2011. Luke also was working as a copy editor for the National Dialogue Conference plus the National Yemen and Yemen News, and his photographs were published by BBC and Al-Jazeera, among others. He was at home in Yemen and loved its people, customs and history. Luke was kidnapped in September 2013 and died in a rescue attempt in December 2014. His writings and photographs offer a poignant and important legacy documenting recent events in Yemen. Paula lives in Gig Harbor, Washington, and advises Hostage US on its family support program, helping to shape the services and resources available for families like hers who have experienced a kidnapping. Luke Somers wanted the world to see the plight of the Yemeni people whom he had grown so close to. Gwendolyn van Paasschenis a garden designer and writer and is involved in various non-profits. She is currently working on several projects, including a major new initiative to perpetuate the legacy of internationally renowned British garden designer, John Brookes MBE which by establishing a trust dedicated to the perpetuation of Brookes’ design legacy and the renovation and preservation of his garden in West Sussex. Ms. van Paasschen is also a trustee on the American Trust for the British Library Board of Trustees and secretary of the ATBL’s Executive Board. She is the former president of Kids Empowered by Your Support (KEYS), a Connecticut-based nonprofit which provides free music lessons to underserved children in Bridgeport, Connecticut. She began her career as a US Senate legislative staffer on economic issues for Senators Slade Gordon and the late Senator John McCain.